Rod Beckstrom, ICANN’s President and Chief Executive Officer, today said that preserving ICANN’s ability to act independently in the public interest is paramount to the future of the Internet and the organization. During the welcoming ceremony of ICANN’s week-long 43rd public meeting in San Jose, Costa Rica , Beckstrom said that while he applauds the progress the organization has made on issues of conflicts of interest and ethics, more must be done, including within the Board of Directors. ICANN’s Board of Directors is currently interviewing candidates to succeed Beckstrom, whose term as CEO will be completed on 1 July. He advised the Board to expand and diversify the potential pool of candidates to succeed him and to increase the diversity of its own membership. “Costa Rica is committed to bridging the digital gap to provide broadband access to 100 per cent of our educational institutions and make it available to all people,” said President Chinchilla. She said her country fully supports ICANN programs like the new generic Top-Level Domain (gTLD) program and IPv6 adoption. Rod Beckstrom said the very presence of President Chinchilla at the ICANN meeting helped demonstrate the organization’s on-going commitment to internationalization. The ICANN meeting in Costa Rica wraps up on Friday with a meeting of the Board of Directors. To read the text of Rod Beckstrom’s comments, go here: https://icann.box.com/s/61dh9ge4m143rg5bzgqa. To learn more about ICANN’s Costa Rica meeting, go here: http://costarica43.icann.org/full-schedule. About ICANN: ICANN’s mission is to ensure a stable, secure and unified global Internet. To reach another person on the Internet you have to type an address into your computer - a name or a number. That address has to be unique so computers know where to find each other. ICANN coordinates these unique identifiers across the world. Without that coordination we wouldn't have one global Internet. 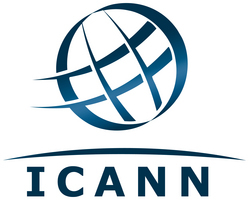 ICANN was formed in 1998. It is a not-for-profit public-benefit corporation with participants from all over the world dedicated to keeping the Internet secure, stable and interoperable. It promotes competition and develops policy on the Internet’s unique identifiers. ICANN doesn’t control content on the Internet. It cannot stop spam and it doesn’t deal with access to the Internet. But through its coordination role of the Internet’s naming system, it does have an important impact on the expansion and evolution of the Internet. For more information please visit: http://www.icann.org.